The Springbok Sevens team will face Zimbabwe, Samoa and New Zealand on the opening day of the fourth edition of the HSBC Cape Town Sevens on Saturday, with the Blitzboks’ clash against the All Blacks Sevens concluding what promises to be a scintillating day of action. 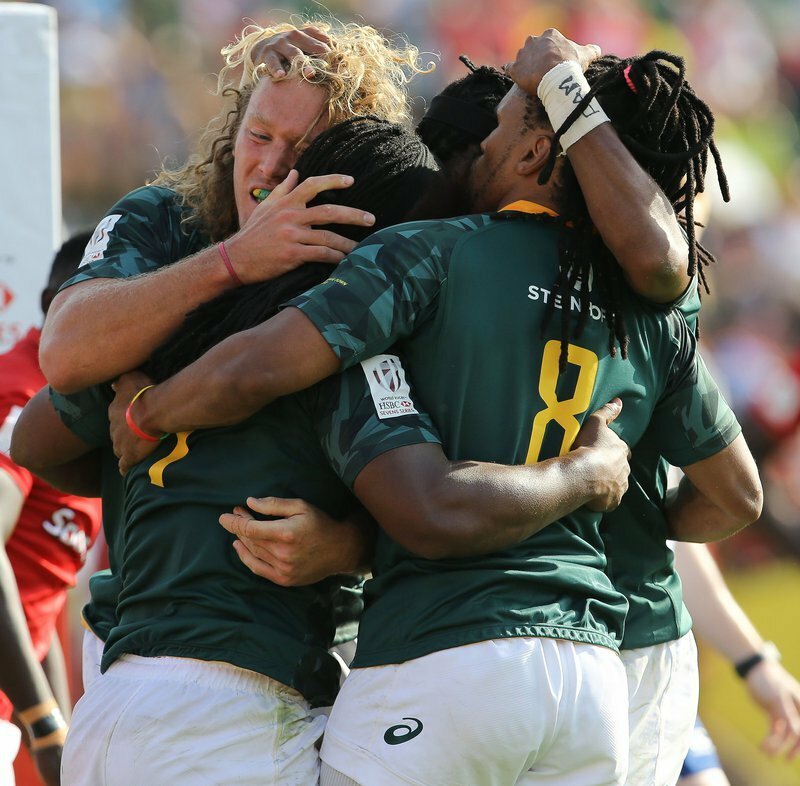 The defending HSBC World Rugby Sevens Series champions will face the reigning Rugby World Cup Sevens and HSBC Cape Town Sevens champions at 19h56 on Saturday in front of a packed Cape Town Stadium. It’s the final encounter of 24 matches on the day. Amongst the other highly anticipated clashes on Saturday will be England facing Fiji, the USA taking on Argentina in an Americas battle and Scotland and Wales looking for Celtic bragging rights. Springbok Sevens flyer, Muller du Plessis, finished the Emirates Airline Dubai Sevens as leading try-scorer. The 20-year-old scored a hat-trick against Fiji, adding to his four earlier tries to finish one try ahead of World Rugby Sevens Player of the Year, Perry Baker of the USA, Marcos Maroni (Argentina), Alamanda Matuga (Samoa) and John Porch (Australia). Du Plessis' efforts were made more special by the fact that South Africa only scored 19 tries in their six matches (the same as New Zealand) to place seventh overall amongst total team tries. Rosko Specman (3) and Werner Kok (3) were the other main contributors.